Amit Gupta, 12 Aug 2014Hello Bro. Definitely choose Xolo Q3000. 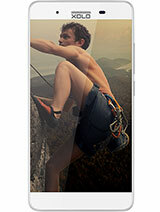 i can list down some features where xolo q3000 outper... morethanku thanku very much bro for your feedback. 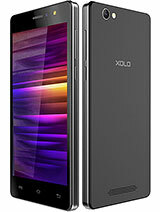 Xolo new phone relised xolo 8x-1000 price 14k. 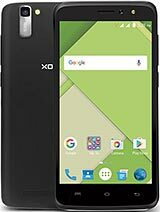 Xolo q3000 or xolo 8x-1000 which is better pls tell me becase i planed to buy xolo on august 15 because i hope flipkart reduce price on aug15 so tell me any one big size smart phone any brand under 16k. Pls tell me bro. 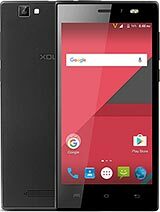 Can anyone tell me how to root Xolo q3000 KitKat 4.4.2? Jelly bean 4.2.1 can be easily rooted by frame root but frame root not work for KitKat. Suggest me simple and effective method. AnonD-263991, 12 Aug 2014The Antutu score for my Xolo Q3000 is 15819 where as Lenovo S660 with much lower specs than Q3... moreHello Bro. Antutu test combines various tests which includes cpu and gpu performance too. 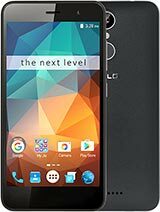 This phone does lag in the GPU department which is a major cause for its lags while playing very heavy graphic intensive games. i think the GPU is a major let down in Xolo Q3000. wish they used better GPU. The Antutu score for my Xolo Q3000 is 15819 where as Lenovo S660 with much lower specs than Q3000 (1 GB RAM,1.3 Gz processor) scores somewhere around 16K. Any specific reasons for this? 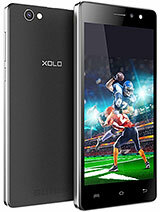 Xolo Q3000 has a 5.7" crisp and clear IPS display. trust me you can watch crystal clear videos clearly from any angle you hold it. Intex i5 HD is bundled with just 4GB of internal memory so very less. Intex i5 HD has 2000 MAH battery which will need charging atleast every 8 to 10 hours of usage. anand, 11 Aug 2014xolo or intex aqua i5hd or karban taitenium octane plus which one is better pls tell meDon't buy karbonn phones. 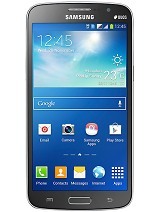 on paper specifications is good but it's biggest disadvantage is its very low battery life. Hi all ..... does q3000 gorilla glass ... Cos I have some scratches on screen ..what should I do ...any one can help me....please..
hi amith bro xolo q3000 or intex aqua i5HD WHICH ONE BETTER pls suggest me? I have budget 15k only..
Pawan Dev, 11 Aug 2014Hi Dear, This is not a Sensor issue, same issue i am faced. i have replace the handset with ... moreThanks Bro. I just got call from service center saying the same thing you told so they insisted me to wait for sometime till xolo provides official update for xolo q3000 on its website or get the os updated to kitkat at the service center. i have read few people complaining about facing various issues after updating the os at service centers so i will wait till we get an online update for operating system. Pawan Dev, 11 Aug 2014Pls select display brightness Auto Off. after this action problem resolve.Hello Bro. In my case it didn't even worked after doing that and yes if we turn off the auto brightness then we have to adjust the display brightness everytime. this cannot be deemed as a solution to problem. Better is we get the sensor get changed as our handsets are new and under company warranty so i would suggest to get the sensor checked by xolo service center.